We decided it was about time that Scallionpancake ranked the top restaurants in Charlotte, especially after some other outlets posted top ffity lists that we didn't quite agree with, which we say in the most southern way possible #blesstheirhearts. Let's get some caveats out of the way. We live in Uptown, so proximity may play a role (though we’ve been known to drive 40 minutes for Whit’s Custard regularly). We know we haven't been to a lot of off-the-beaten path ethnic restaurants, so we apologize in advance for that, and we welcome your suggestions if you have a favorite. Next, we are only doing restaurants located in Charlotte proper. This means no Kindred, Hello Sailor, or Flipside. Also, any sort of chain with a location outside of Charlotte, didn’t make our list. Yes, we're talking to you, Viva Chicken (and DeSano!). Finally, we have to have gone there, obviously. While we clearly dine out often (too often, perhaps), there are a few Charlotte staples, like Fig Tree or McNinch House which we just haven't made it to yet. If we haven't gone, we can't put you on the list. (Yume and The Waterman—we are coming for you soon!). Also, even though we ate at Noma this year (sorry, we had to say it one more time), we don’t discount casual joints. Places where you order at a counter mingle among white-tablecloth establishments, because good food is good food, and everything else is just window dressing. Bardo is the best restaurant in Charlotte, and nowhere else even comes close. It’s the first restaurant in town to receive a coveted Michigan Pug. The flavors and textures are next level. Our favorites on the menu are the Cobia, egg and grains, ribeye, and tortellini. The quintessential Charlotte restaurant. The unpretentious food is affordable, really freaking good, and showcases the best of traditional and modern southern food. If it's your first time, you have to get the fried chicken and mac and cheese with chicken skins. Don't skip a cocktail, either! Haberdish is also tops for brunch. 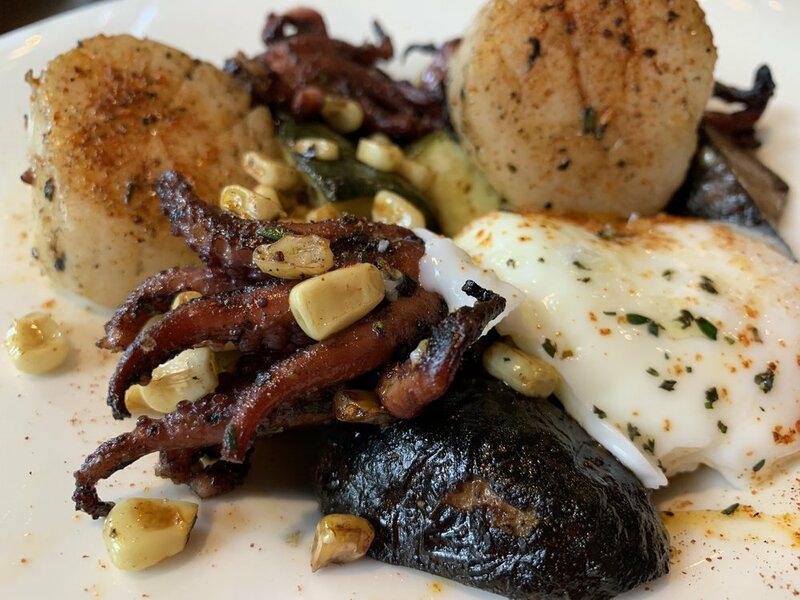 Chef Paul Verica, formerly of The Heritage in Waxhaw, opened up The Stanley in May and it has quickly become one of the best in Charlotte. It’s farm to table, so the menu changes almost daily based on what’s available. The tapas style restaurant has such a variety of food, from sushi rolls to their signature watermelon pork belly tacos, that it's hard to believe a restaurant could do everything this well. But Soul pulls it off and then some. Plus, the vibe is the best in Charlotte. Sit at the bar for the most fun. Years ago, Chef Michael Shortino was one of the first chefs to show that Charlotte was ready for good food. Futo Buta is serving up some of the best ramen in the Southeast. Our favorite is the Fire and Ice. Stoke has been our top Uptown restaurant for a while. The vibe is one of the coolest in Charlotte, and the food is always excellent. The star of the show is the donut with diplomat cream. Make sure you bring friends so you aren’t judged when you order one for yourself. Ever since Kabob Grill closed (RIP), Kabab Je holds the title of best Mediterranean food in town. The pita. THE PITA. It’s the best. Sorry, Yafo. Get the lamb kabob and lots of sides. Zeppelin has an old school vibe, a great cocktail bar, and fantastic food. Some of our favorites are the lobster avocado toast, the yellowtail crudo, and all of their desserts. Putting Yvonne’s hatred of The Dunhill aside, The Asbury always has unique and fun plays on traditional southern cooking. They also have an excellent brunch. It’s our family’s go-to before a Panthers game. The Park Road speakeasy is serving up some of Charlotte’s most inventive dishes. Cold smoked fried chicken? Yes, pease. American Wagyu with truffle glacé? You don’t have to tell us twice. Take your hot date or your hot mistress. Either will be impressed. Chef Shortino did it again when he opened up Lincoln’s Haberdashery in early 2018. It’s one of the coolest hangouts in town, and everything on the menu is good. Our go-to is the 13th: house-made mozzarella, La Quercia prosciutto, fresh basil, and extra virgin olive oil. A Charlotte classic with Ashley Boyd at the helm of the knock-out dessert program. Wood sorrel ice cream with lavender honey cake? YES, WE’LL TAKE 300 PLEASE. Beef & Bottle has been around for 40+ years in Charlotte, and it’s as old school of a steakhouse as you can find. It’s a great date night or special occasion location. They also might have the tastiest onion rings in Charlotte. Organic at its best. Siggy is cooking up some of the best food around, and it happens to be good for you, too. Everything on her menu we’ve enjoyed, but our go-to is the steak sandwich. The best pasta in Charlotte is at Flour Shop. Go sit at their gigantic bar and watch the chefs do their thing Their house-made burrata is a must order. Lang Van is Charlotte’s best Vietnamese restaurant. The service here is incredible. We’ve gone six months without eating here and they still remember our orders. It’s pretty amazing. Oh, and the food is incredible, too. 17. Seoul Food Meat Co.
A BBQ Joint with a Korean twist. Everything here is good and is known to cause middle of the night cravings. The unique sides have us coming back over and over again. Our favorites are the date tea, brisket, fire chicken, tofu wings, and potato swirl. 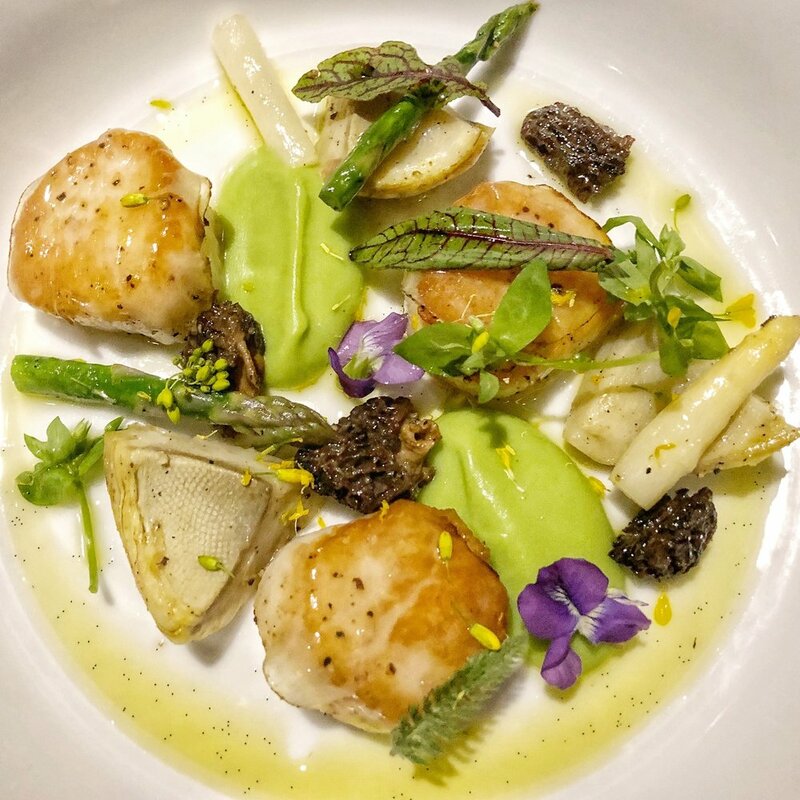 Charlotte’s new French restaurant is an instant hit for its food and stunning art deco decor. You can tell if a French restaurant is good based on the chicken, and LBH’s chicken is off the chain. Also, don’t forget about their desserts, including this amazing rhum baba. 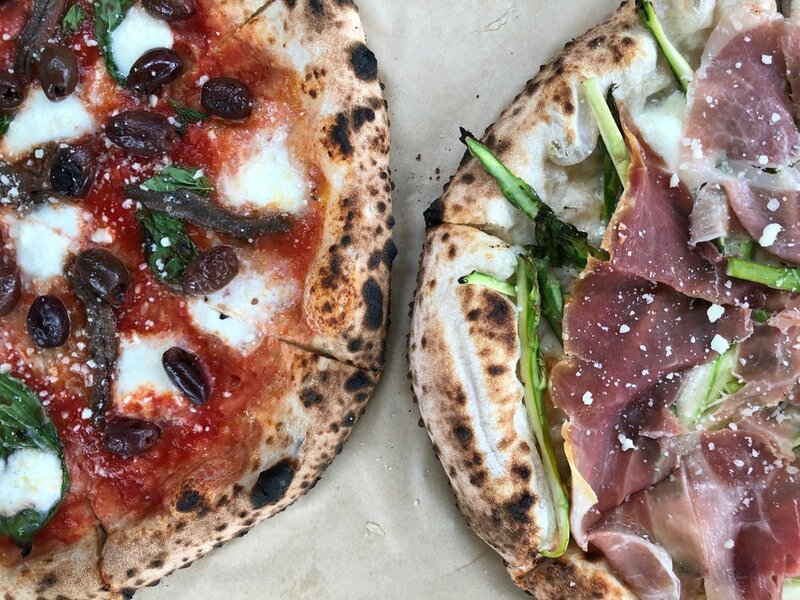 Inizio’s Neapolitan style pizza takes the cake, or dare we say pie, for the best Charlotte-based pizza place. If you’ve never been, try their classic margherita and the pistachio. Also, don’t sleep on the cannoli. The best burgers in town are at Bang Bang. 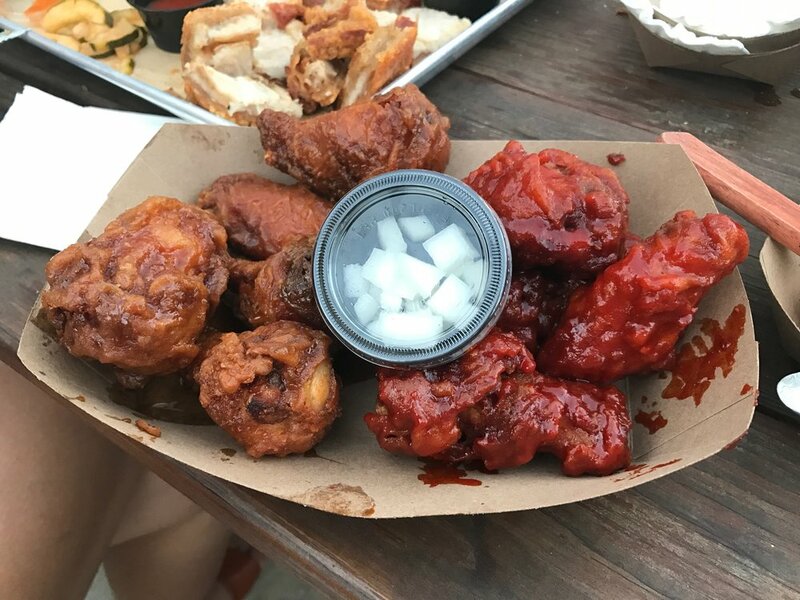 Their short-lived Bang Bang Bites were a quick favorite of ours, but we keep going back for the big guys. Make sure you order the onion rings. 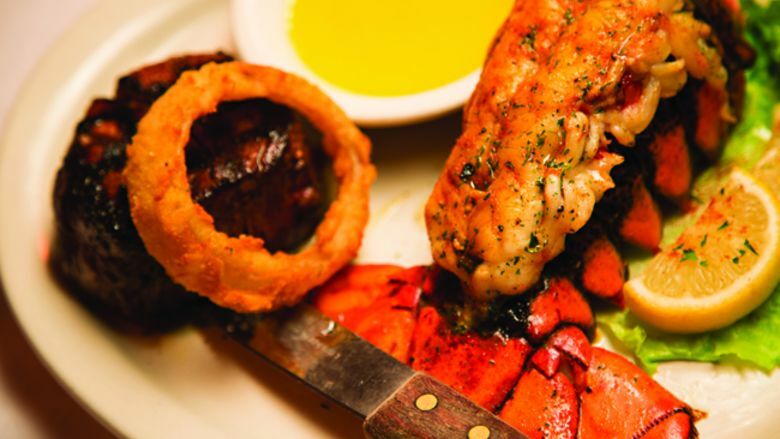 In general, Charlotte lacks good seafood restaurants. Sea Level is changing that, bringing in fresh local fish from the coast. Their lobster rolls are off the chain, and don’t overlook their fried chicken sandwich. We’ve tried all the local sushi joints, and we keep coming back to Ru Sans over all the rest. Our staple rolls are the Green Dragon, Ultimate Tuna, Sunshine, and the Chipotle Roll. Haters, back down. We also are not ranking them based on the lunch buffet. Chill. And don’t eat at sushi buffets. That’s on you. The Roman-style pizza at Omaggios is just a bit behind Inizio, but not by much. It’s a thiner crust here, but the ingredients are top notch. Try something with pepperoni, which we think is the best in town. 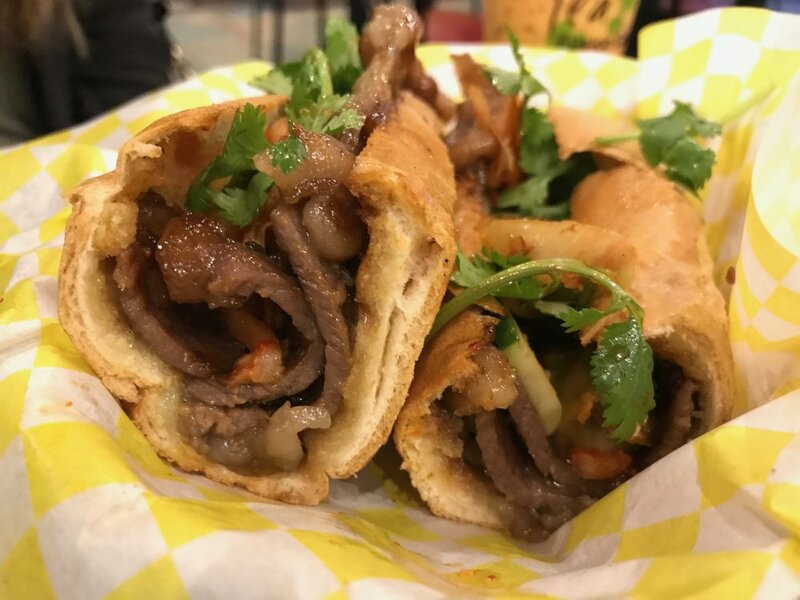 We’ve been known to drive up to University late at night, pugs in tow, to have the best bubble tea, shaved ice, and Vietnamese sandwiches in Charlotte. If you’re into Thai iced tea, Tea Fusion has one of the tastiest in Charlotte. Laurel Market has the Charlotte breakfast sandwich game wrapped up, and they are all between 4-6 dollars. We especially love the Mercado, which is bacon, egg, and pepper jack cheese with spicy chipotle spread.